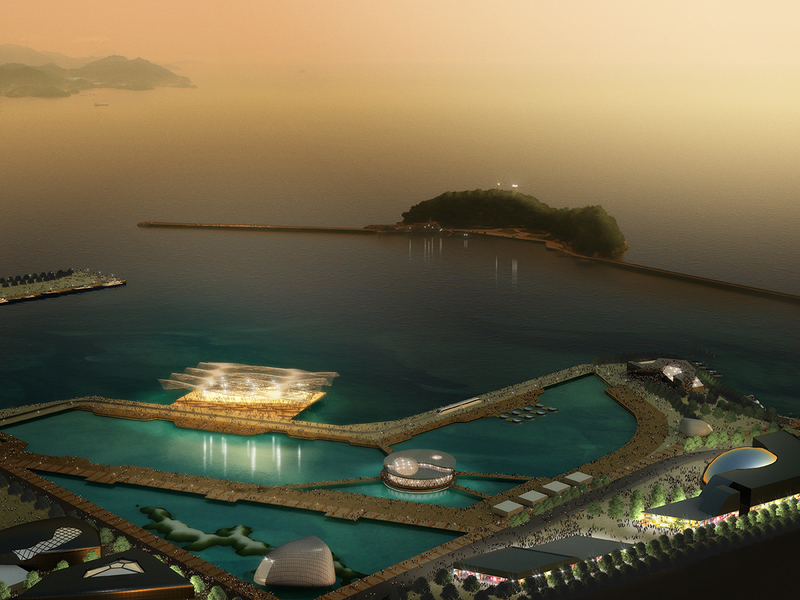 Jury comments: Situated along a breakwater in the port city of Yeosu, South Korea, is this Thematic Pavilion that may have been intended for or inspired by the expo held in Yeosu in 2012. 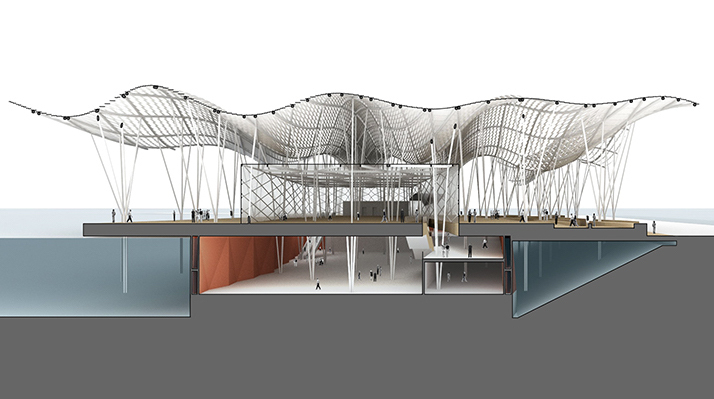 The approach to the Thematic Pavilion is done by ascending a series of gentle ramps that lead to a large public platform covered by an undulating metal canopy. Once on the platform, one can experience the glass Sun Pavilion or go below the main level to experience the Moon Pavilion. 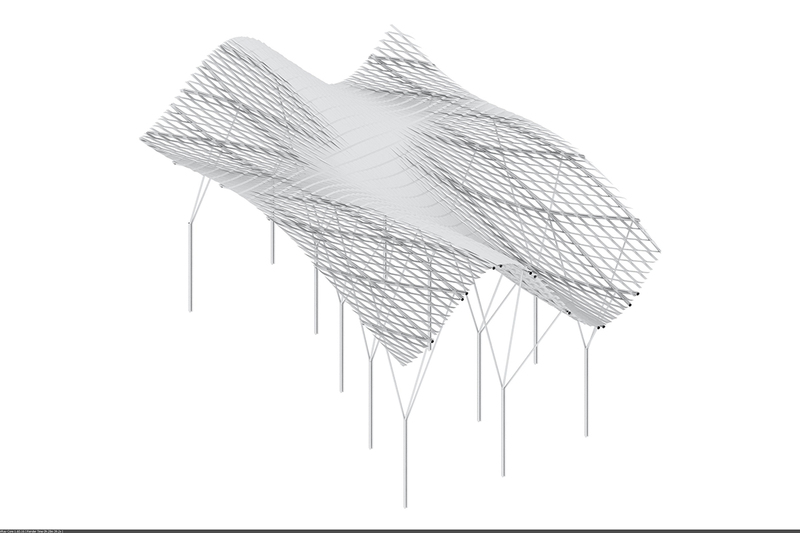 The pavilion’s most distinguishing feature is the undulating perforated metal canopy that modulates the amount of shade and shadow cast on the pavilion floor throughout the day. The perforations are modeled in such a way as to provide more light both in the winter and also during the morning and afternoon periods of the day. 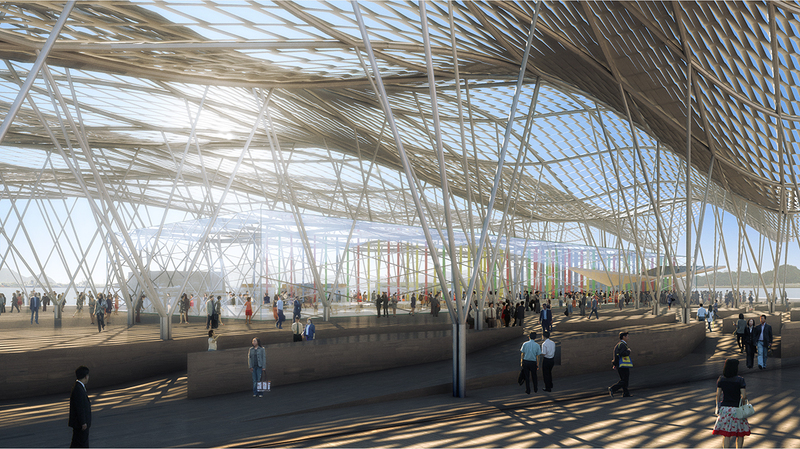 At solar noon, the metal canopy covers the platform and pavilions below in total shade. The jury thought of this design as a “21st-century Stonehenge” whereby the careful crafting of the perforations in the undulating metal panels allows different levels of light and shade to be created as the sun moves overhead. 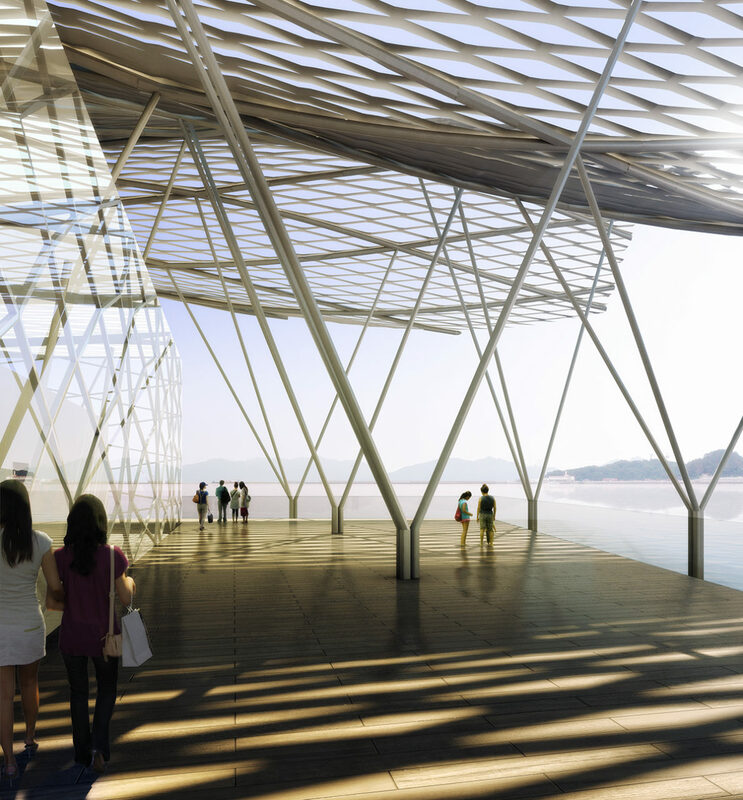 We noted that although the canopy, supporting columns, and platform are all highly articulated and well detailed, the Sun Pavilion and Moon Pavilion lack architectural detail or programmatic rigor.